ISBoxer's new menu system gives users the ability to create custom layouts and because not everyone could see these templates that were being used during the beta, I went ahead and moved them into this new Menu sub-forum. 1. Copy and paste the raw XML/LavishGUI into your favorite text editor and save it as an XML file (your favorite text editor may require you to choose "All Files" to properly save using an XML file extension). 2. 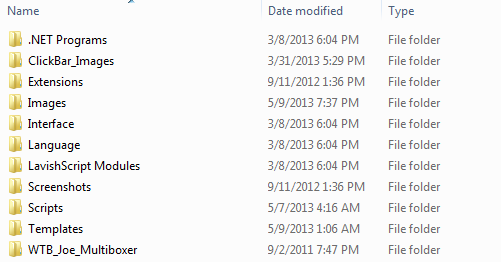 Save that file somewhere that's easily accessible (I created a /templates/ folder within my Inner Space folder). 3. 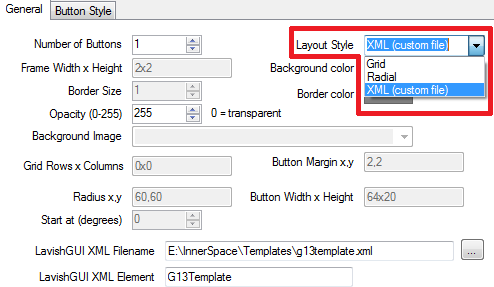 Create a new Menu in ISBoxer and change the Layout Style to XML (Custom File). 4. Add the template and set the element (see notes below for where to find the element name). 5. 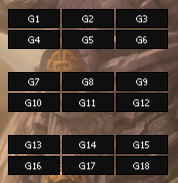 From there it's up to you to create your own Hotkey/Button sets. Don't forget to assign the menu to a Character or Character Set and, as always, don't forget to export your settings to Inner Space. 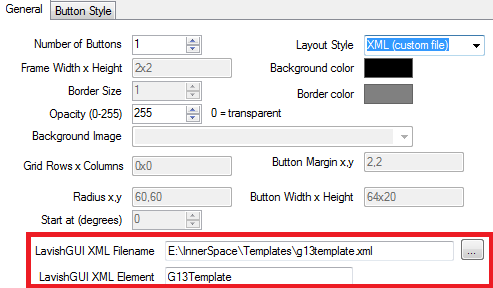 Note: The 'element' can be found in the XML file itself and will be listed as the "Window Name". 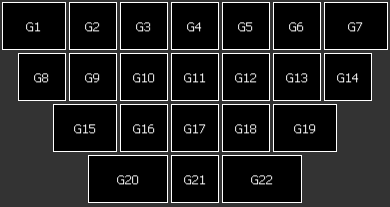 As an example, the custom template for the Logitech G13 uses the element "G13Template"
Notes: First custom template created to demonstrate how those interested in custom menus should go about designing one. Notes: A template designed to mimic the layout of a Logitech G13. Notes: 3 Banks of 6 Keys - each key is 52px x 19px with a 1px margin. Each bank is separated by a spacer equal to 1 button plus it's margin, just like the physical layout of the keyboard. Notes: You will need to edit the XML yourself to either add your own images or remove the paths to images and give the buttons generic textures.